This is the first video in a series of 15 Swedish videos, where aura-transformed people share their personal experience of having an AuraTransformation™. Click on Settings in the lower right corner of the video to select English subtitles or subtitles in other languages. 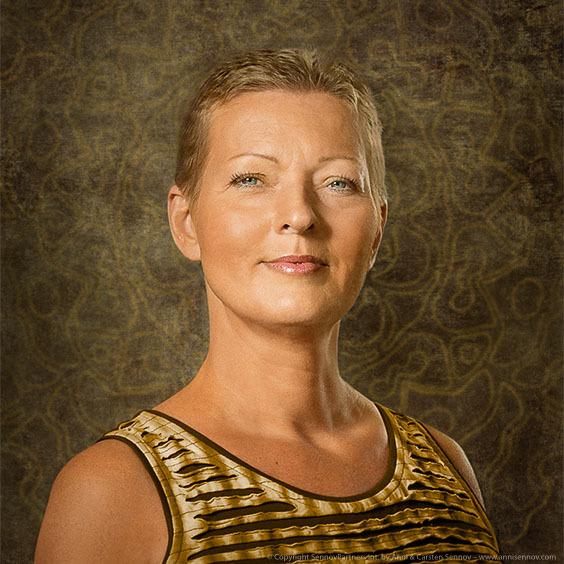 Päivi had her AuraTransformation™ as a Course Client treatment during an Aura Mediator Course in 2013. Thank you Päivi for participating in sharing the information. This video clip is a co-creation between the Swedish Photographer and Aura Mediator Couple Sophelia & Aamod Korhonen, the Scandinavian Director and Aura Mediator Instructor™ Therese Lindberg and Anni & Carsten Sennov. It is made to highlight the Danish treatment method AuraTransformation™ that was developed by Anni Sennov in 1996. At the end of 2017, over 100,000 people had received an AuraTransformation™ in Scandinavia alone. Hör Berit Reaver, frühere europäische Leiterin der AuraMediator-Kurse, und Therese Lindberg, Leiterin der AuraMediator-Kurse in Skandinavien, über AuraTransformation™ und die Energien der Neuen Zeit aus verschiedenen Perspektiven sprechen.